You Deserve to Enhance Your Daily Commute: Treat Yourself to a Chrysler, Jeep, Dodge or Ram vehicle from Beck Chrysler Dodge Jeep, Proudly Serving Palatka, St Augustine, Palm Coast and Saint Augustine Beach. Here at Beck Chrysler Dodge Jeep, we know our Palatka area drivers work hard, play hard, and need a car that can keep up. That’s why we choose to offer the Chrysler, Jeep, Dodge and RAM lineup at our dealership in Palatka. If you’re interested in learning more about your match, stop in to our showroom and treat yourself to a test drive. We serve the following areas: Palatka, Palm Coast, Putnam County, & St Augustine. Some drivers step into our Palatka, FL new vehicle showroom ready to take the new Chrysler, Jeep, Dodge or RAM they’ve been eyeing for a test drive. Others, meanwhile, are just beginning their search. 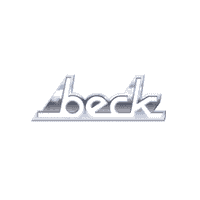 Regardless, we encourage you to explore every new car we offer at Beck Chrysler Dodge Jeep. We offer a wide selection of new 2018 Jeep SUVs, Ram trucks, Chrysler vehicles and Dodge vehicles.